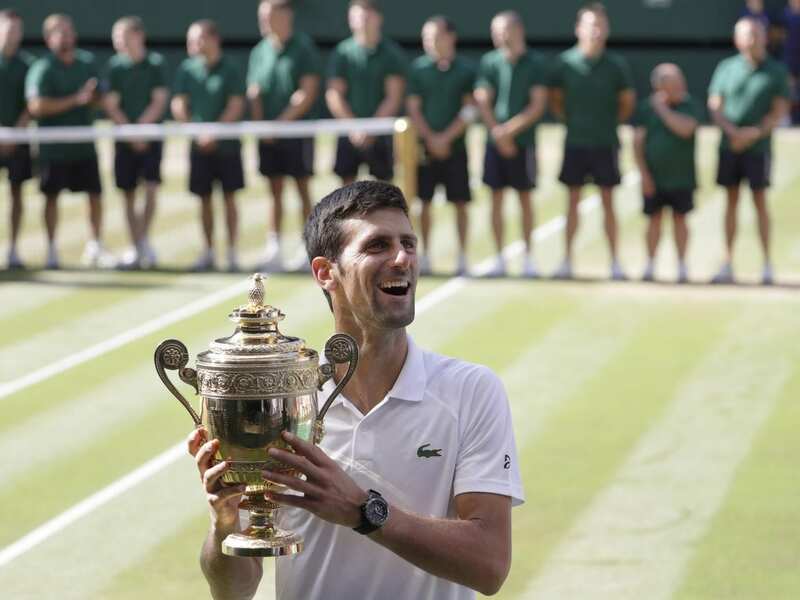 Novak Djokovic won the Wimbledon men’s singles title for the fourth time on Sunday, defeating South African’s Kevin Anderson. It wasn’t a short championship for either competitor – on Friday in the semi-finals Kevin Anderson and John Isner played a remarkable six and a half hour match. That marathon match, in turn, forced Djokovic to play Rafael Nadal over the course of two days, and delayed the women’s finals. Anderson spent a total of 21 hours on the court prior to Sunday’s finals, and said in a post-match interview he would have given “another 21 hours” to have the opportunity to play. In his post-match interview, Djokovic said this championship was special because his son was in the stands. “For the first time in my life I have someone screaming, ‘Daddy, daddy,'” the champion said, as the camera zoomed in on his son and wife clapping in the crowd. This is Djokovic’s 13th major title.